The longer I live the more I learn that the future is so unpredictable. Many times this can have a negative connotation. Sometimes, however, the future surprises us with something really positive and encouraging. 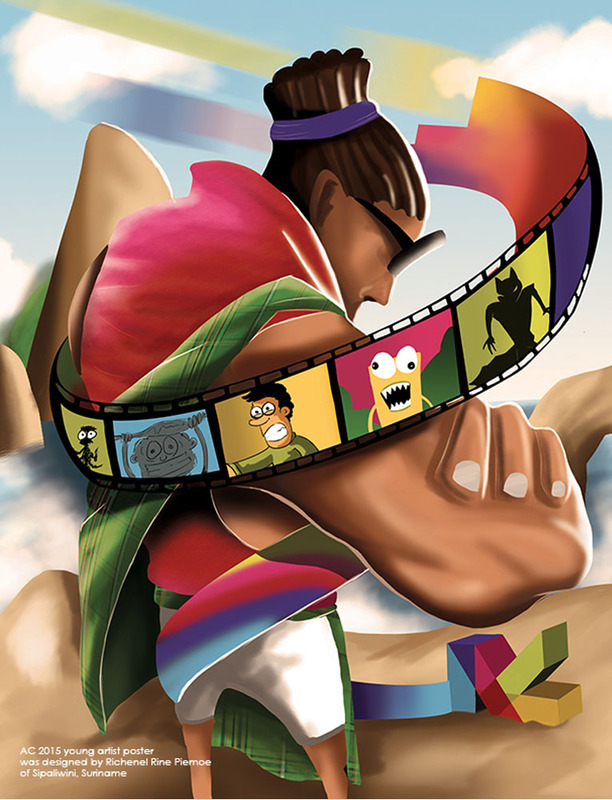 Animae Caribe’s Animation and Digital Media Festival is the Caribbean’s biggest and most prestigious animation festival, providing a platform for the development of animators, as well as the exposure of animation as a viable business. I first heard about Animae Caribe in or around 2004. It seems like a lifetime ago. At that time I didn’t have the skill, know-how or means to even consider being a part of it. It is really cool to be able to announce that Celflux will be featured at Animae Caribe 2016. When Dixie Ann and I began this Celflux journey in 2013, we had no idea where the road would take us. We just ventured out in the spirit of enjoyment and experience. We didn’t have a specific plan or goal other than to finish our book and share it with the world. Our motivation has never been and will never be the pursuit of fame and fortune. We’re not here to “make a name” or “change the game” as we hear a few folks saying. We’re just along for the ride to see where the journey takes us. That’s why everything that happens along this road, is a huge deal for us. So far we’ve had some really memorable and wonderful experiences and have been blessed to meet quite a few awesome and outstanding individuals from all over the world. All because we published our own comic with our original character Okira. Furthermore, the journey keeps getting more and more interesting. One of the outstanding individuals that we’ve had the pleasure of meeting is Ms. Camille Selvon Abrahams. 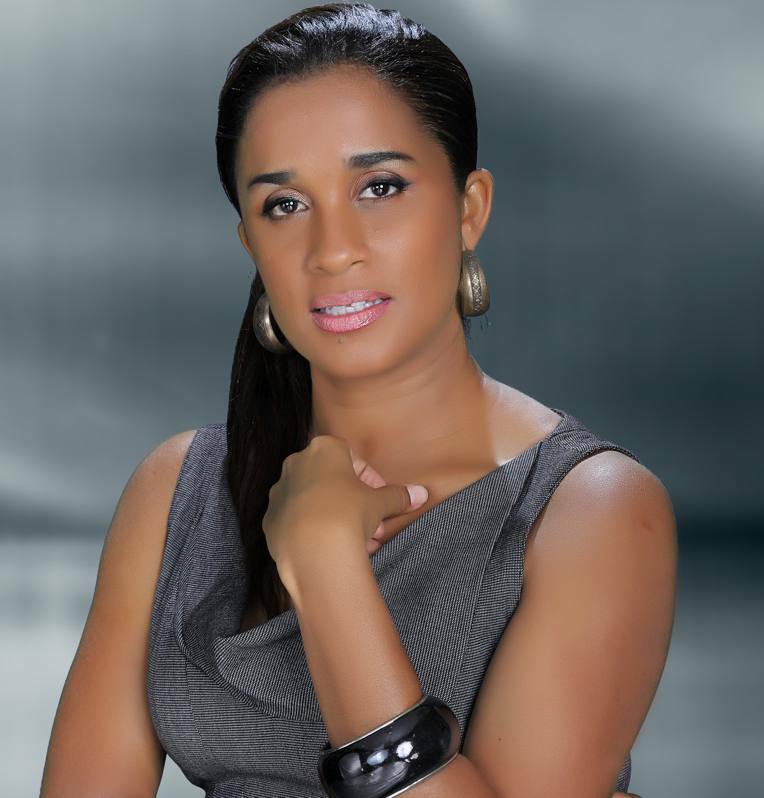 Ms. Selvon Abrahams is the CEO and founder of Full Circle Animation Studio and the Creative Director of the Animae Caribe Animation Festival. She extended an invitation to us to be special guests at Animae Caribe 2016. To explain how this came about, I need to tell a story. As many Celflux fans know, I’m a child of the 80s and grew up on Saturday morning 80s cartoons. I have always loved traditional animation, in particular, the action cartoons of the 80s and 90s. Most notably among them were Thundercats, Gi Joe, Transformers, and Visionaries: Knights of The Magical Light. So you can understand that I’ve always had in my mind the desire to one day see the characters of Celflux in an animated format. When we were planning the second trailer for the release of Celflux issue no. 3, I made the decision to do something in the style of an 80s cartoon intro. I shared a sneak peek of that trailer on Facebook and Ms. Selvon Abrahams saw it and liked it. A huge deal for us, given the fact that she has years of experience in the animation industry. 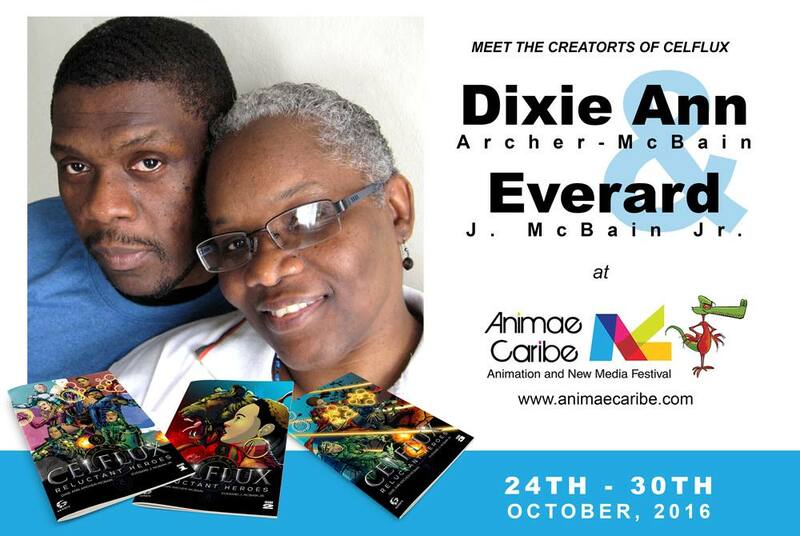 Ms. Selvon Abrahams then graciously extended to us an invitation to be featured guests at this years Animae Caribe Festival. We cannot really express how much this opportunity means to us. It is a priceless opportunity for two key reasons. Firstly, we have the outstanding privilege of being among some of the most talented, qualified and experienced individuals in the creative industry and secondly, it gives us a powerful platform from which we can share the story of Okira and Celflux. We’re really looking forward to this event, the amazing people we will meet and connect with, and the great experiences we will have. Also, who knows where the next stage of the journey will lead? So if you can make it, come visit us at Animae Caribe 2016. We would love to meet you. Follow our journey to Animae Caribe on Facebook, Instagram and Twitter. Posted in Site News, Uncategorized and tagged Animae Caribe 2016, Camille Selvon Abrahams, cartoons, Celflux, comic, comic books, comics, Dixie Ann Archer McBain, Everard McBain, GemGfx, Graphic Novel, independent comics, inspiration, okira, Saturday Morning Cartoons, sci-fi.